Visit Granada with Free Time & immerse yourself in a beer barrel during 1h with medicinal and therapeutic properties. 1h Beer bath. Introduction in a barrel of bubbles with beer (water, hops, malt and yeast). Relaxing area of a bed of barley. 6 people min per group! 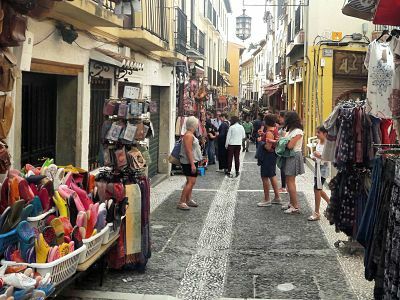 Live a real experience in Granada with your friends! Visit this amazing city from Malaga (transportation included) and enjoy a Beer Spa during 1h. The Beer Spa baths contain ingredients from the beer production such as beer yeast, hops and barley, as well as a stimulant natural enhancer such as cinnamon. The high content of siliceous hops contributes to the depleted of the skin pores and increased vitality in general; the beer yeast, at the same time, has beneficial properties on the regeneration of the skin thanks to its content of Group B vitamins. Prevents the wrinkles formation on the skin. Provides vitamins, Saccharides, and proteins. Relaxes muscle tension. Reduces stress. Helps the renewal of skin cells. Helps to improve blood circulation. Promotes the Elimination of toxins from the body. It is an auxiliary treatment for back and articulation pain. Eliminates impurities that is accumulated in the skin pores. Increases the heart rate. Improves the skin condition in cases of psoriasis, acne and cellulite. 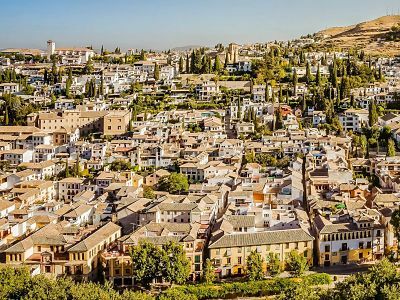 You will have 2,5h Free Time in Granada to enjoy this city on your own before/after your 1h Beer Spa! The client must bring swimsuits and flip-flops. It is not necessary to use a swimming cap and the towel for the circuit is provided by the center. Free cancellation until 14 day(s) before starting time.